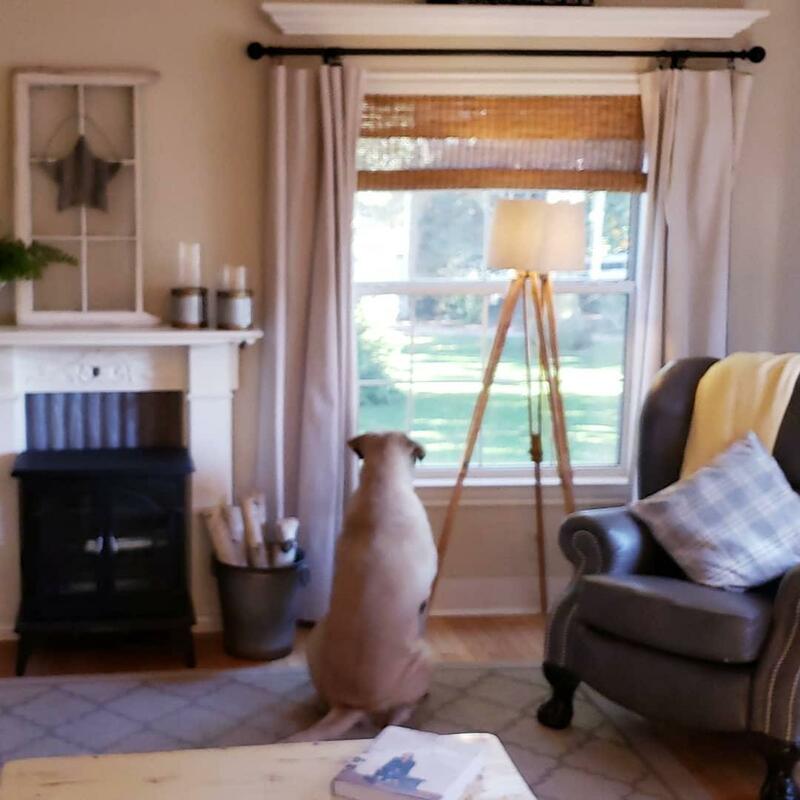 When we decided to shop for curtains for our home I knew I wanted something neutral and natural looking to go with our décor. I mean I love things to be neutral so that I can rotate whatever theme or pop of color I’m into for the month or season. 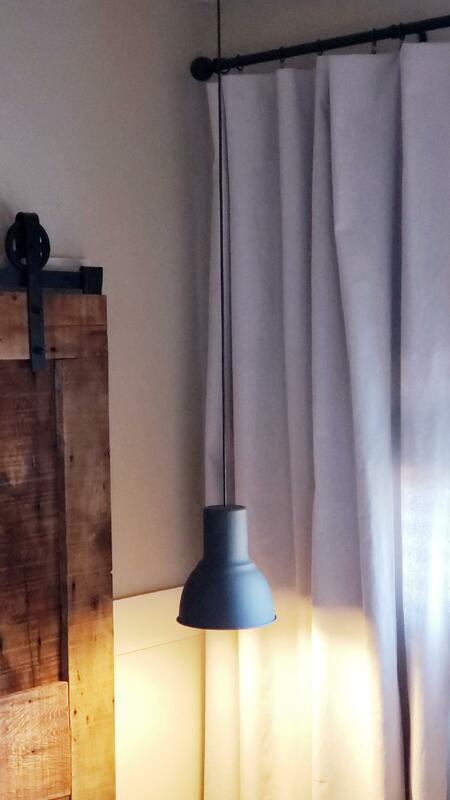 It’s so much easier to rotate in and out those little things as long as the big things are neutral. But rotating big things, I mean come on, whose got the time or money to change out your couch every other month or even your curtains? At first I thought maybe sheer white but then, well people could see in and honestly, sometimes the sun shines in so bright, there’s such a glare on the tv and it gets kinda bright in your eyes when you’re sitting in our livingroom trying to read or visit with the family actually. So sheer was out. 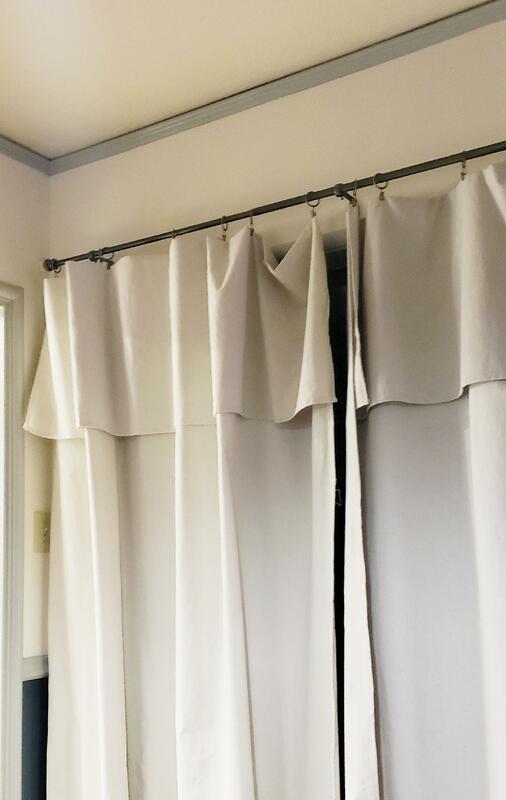 Then when looking at all the other options, really curtains can be so expensive. So I decided I would sew them myself! Yep, that’s what I’d do. Then when looking at material that I wanted, I just thought why can’t I find something simple like what would be on a market umbrella? My thinking was I wanted a canvas material, so it would be thick enough to block out the light when necessary and give us a little privacy. I also loved the simple natural look of canvas. I finally found different outdoor fabric that was non fading and what not, but that’s not what I really needed and it was very pricey. It was the perfect color, just plain ol’ beige with little bits of nubby light tans and other variations woven in it. The other thing I noticed but hadn’t really paid attention to was that all four side were already hemmed. What?! I wouldn’t even have to sew at all?! Well great! I was all over it. 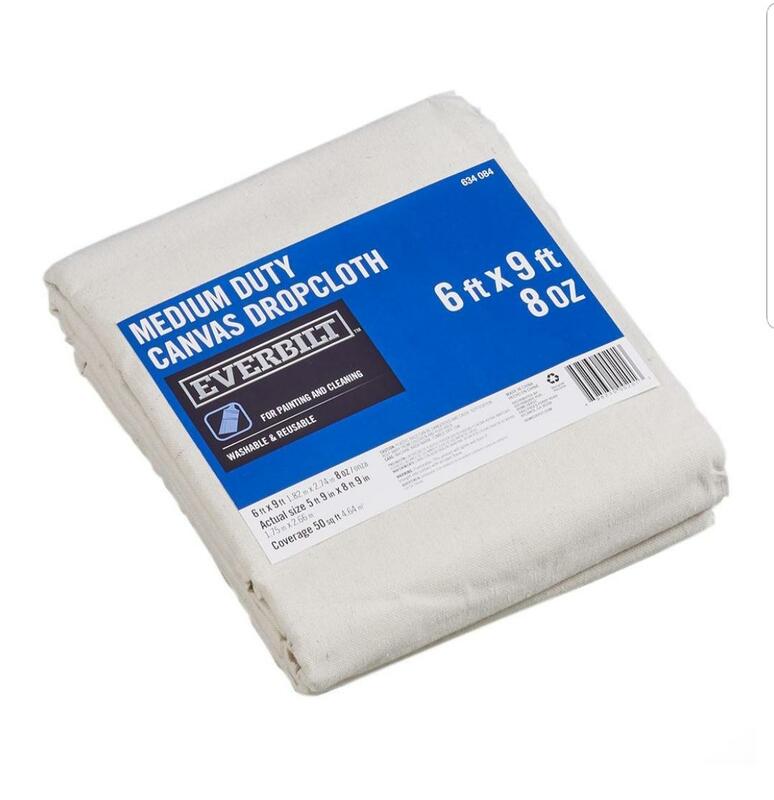 So I headed over to Home Depot which is where I got the original drop cloth to check it all out. So, there were different sizes but I knew I wanted this set to be in our living room where the length was pretty long but I had these fun wooden valances so it wasn’t that high up to the ceiling either. When checking it all out there, I was so pleased that it was so cheap! They were only $11 a panel for this 6 x 9 foot DROP CLOTH and with the sides already hemmed, did I say that meant I didn’t have to sew? Oh, yeah I guess I already did huh? 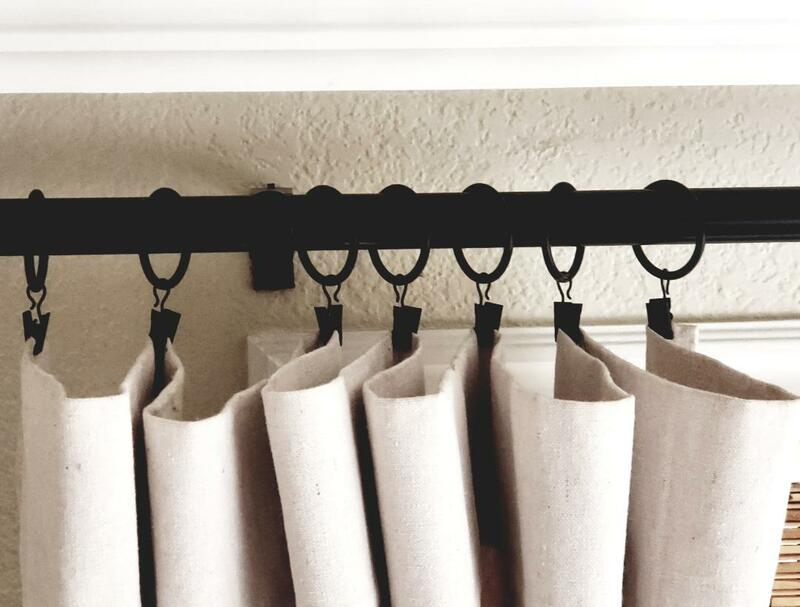 So now the thing is, you just need to get the kind of curtain rod that you can put on these clip rings so you are able to just slide it on the rod and clip it to the cloth. Super easy! To get the right length, I just folded them on the inside so no one could see the extra material. Ok, so here in our living room is where I first got the idea to do this. You know that whole wanting more privacy, blocking out sun once in a while thing I was talking about. 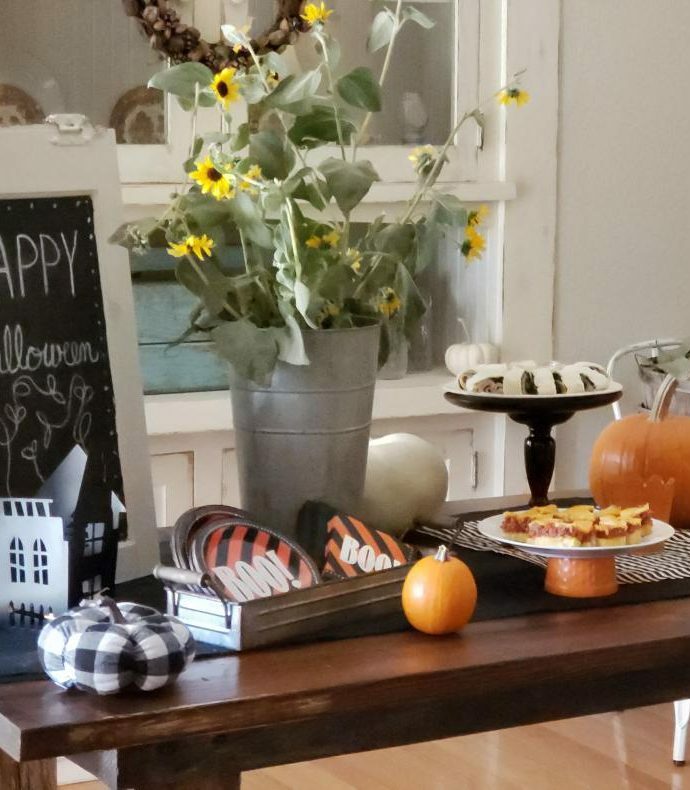 But then when I was trying to get our guest room a bit decent looking for when we might have guests spend the night at our home last May for our son’s wedding, I was all about those drop cloths again. 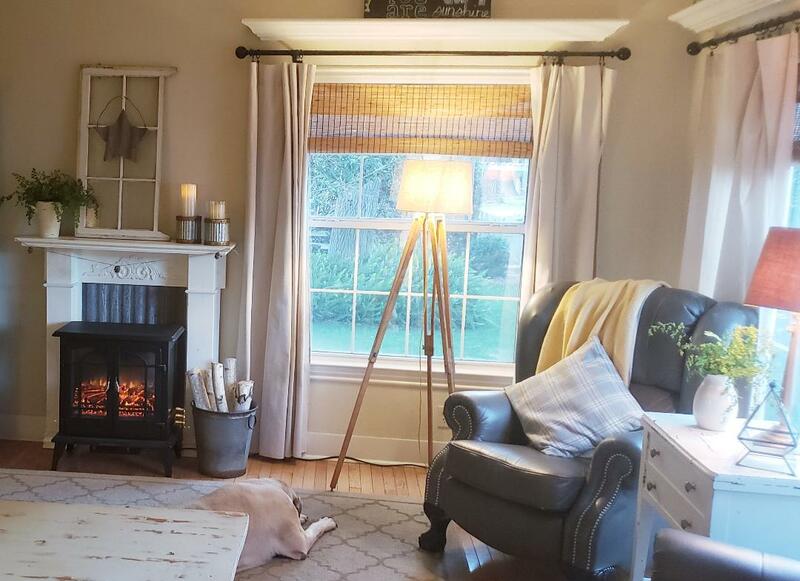 See our son had moved out, the room was ready to be restyled into a guest room but with the wedding approaching the very next month I needed a quick and cheap redo because heavens, the wedding reception would be here at our lil’ ol’ “fun farm” for goodness sakes! With the super high ceilings in this over 100 year old farmhouse I thought Woohoo! I’m taking these drop cloths full length, no folding over here. I love the dramatic look of having them so high up to the ceiling and long all the way to the floor. This guest room is really a work in progress. 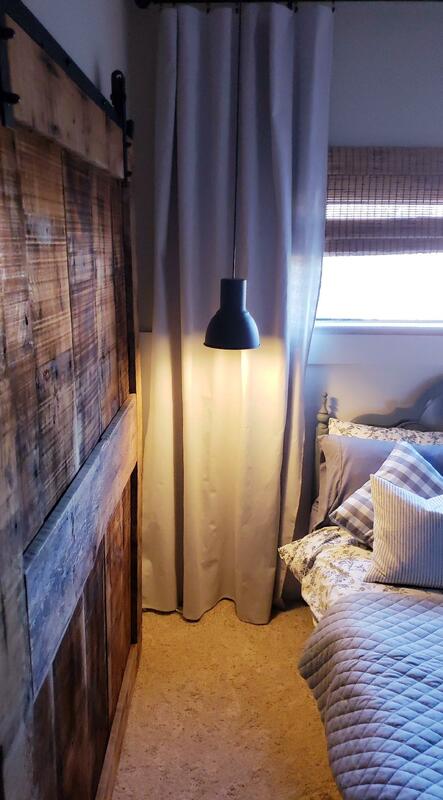 I still have so much more to do in here but these curtains are up, a decent bed (but not my dream guest bed yet) is set up and these beautiful BARNWOOD SLIDING BARN DOOR are really the icing on the cake. But I’ll keep you updated as this room slowly but surely transforms. 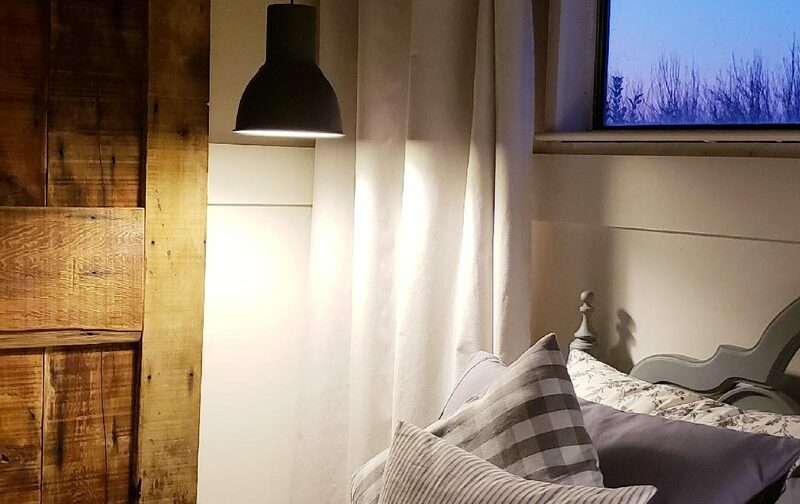 But these curtains are so perfect and will stay because seriously, I love them and with these darling pendant lamps I got at IKEA, they really show them off. 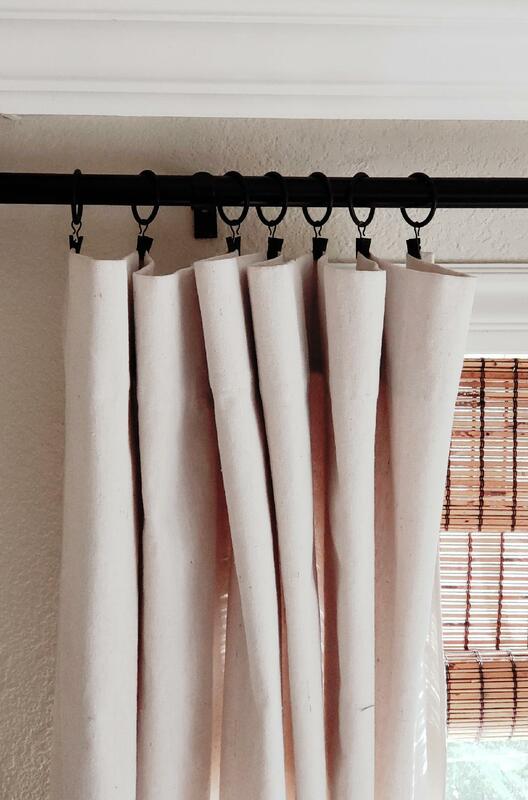 Here’s one last look of how you can use and style these drop cloths into fashionable curtains. 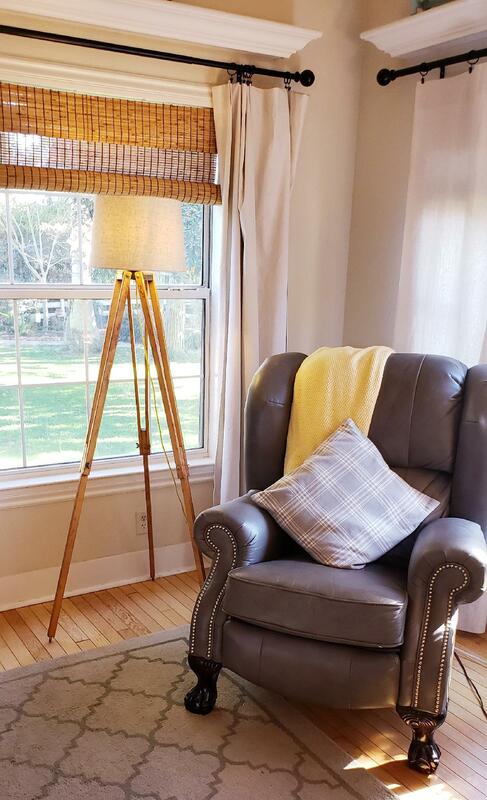 When our son and daughter in law bought their new (to them) cute and cozy home (built in 1940) I suggested these this style as well because of their afforadability in curtaining an entire home’s windows and because of it’s classic vintage look. But with these, they folded the curtains over to show the extra material and give it a bit of a valance look at the top. Still, so cute I’d say! One last thing that I can mention that might be the clencher for you to consider these drop cloths as your new curtain style if the darling look of them and the inexpensiveness of them weren’t enough. They’re washable friends! So if you have little children and pets that might not know that we don’t wipe our grubby paws or lil’ fingers on the curtains as we look out the window, you can wash em up lickity split. Then you can display these beauties again to accentuate your lovely view of the wonderful world outside your windows! 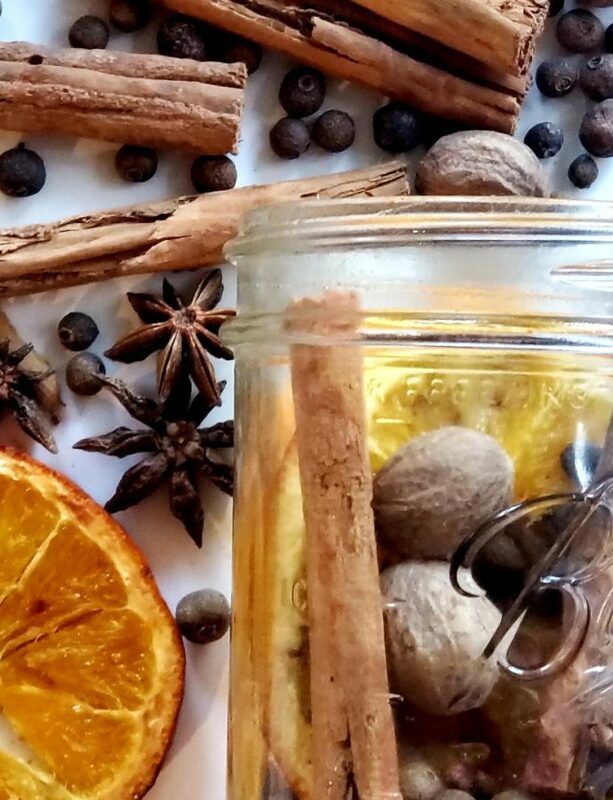 I hope this might help you in your choices of curtain décor or just give you an option of how you can add a little cozy classic vintage or farmhouse feel to your home this year! I love how they look and you can’t go wrong with the color. I have done drop cloth out on our porch. So inexpensive but look high end. 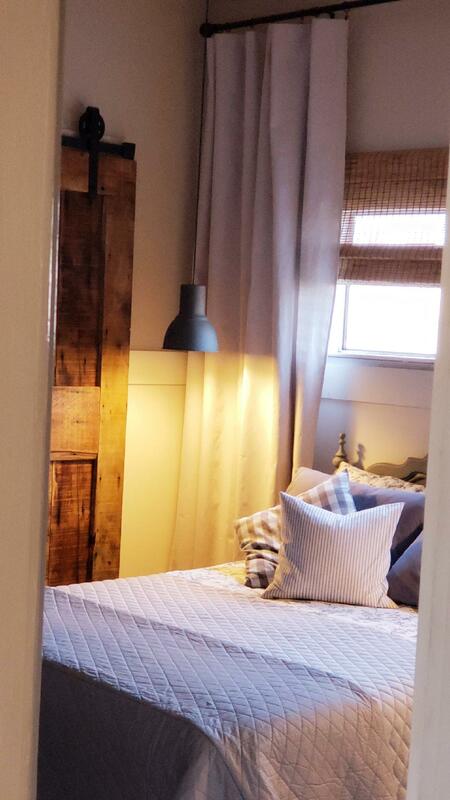 I love the drop cloth curtain look.Especially since you don’t have to sew anything, its for me! THey look lovely Jerri! Ad your pups are adorable!! I LOVE the drop cloth curtains! They are just perfect in both rooms! 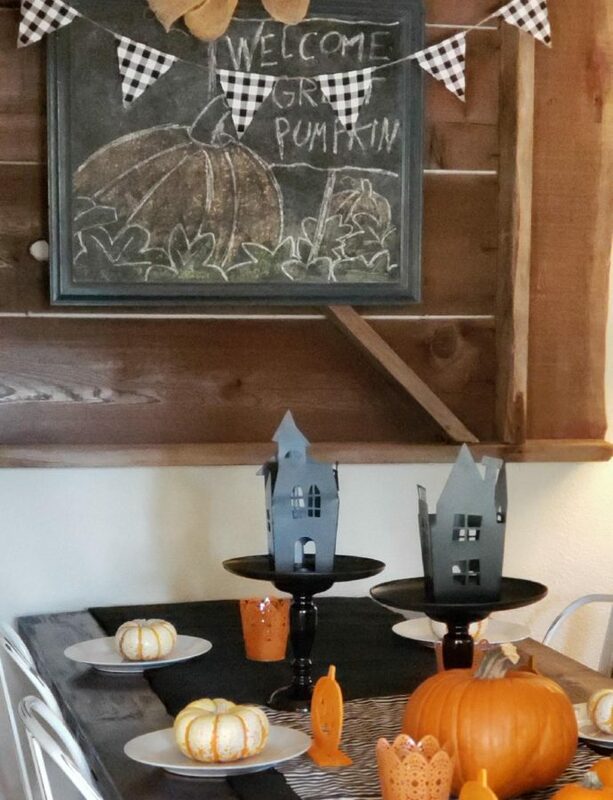 Very clever twist on the look at your kids’ home. The picture with their Corgi put a smile on my face.